Melody Miles 2016 - One of the best years ever! 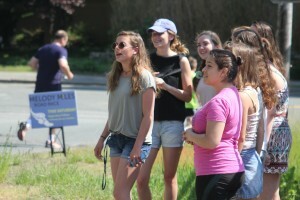 Thank you to our sponsors, runners, musicians, volunteers and spectators for making this year's Melody Miles such a great success. 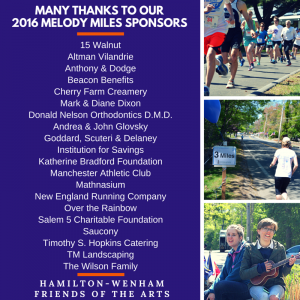 The Wilson, Dixon and Glovsky Families, Cherry Farm Creamery, New England Running Company, Saucony, Lark Cookies.